Wine and Dine in an atmospheric environment with friendly hosts. 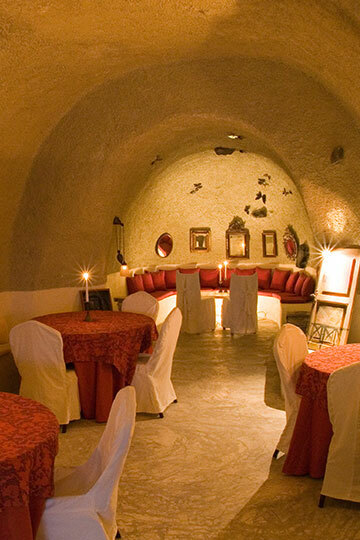 From a stable to a wine cellar and from a wine cellar to a bar, our natural cave has this form into the lava for more than 400 years and is the best choice you can make on a chilly night. 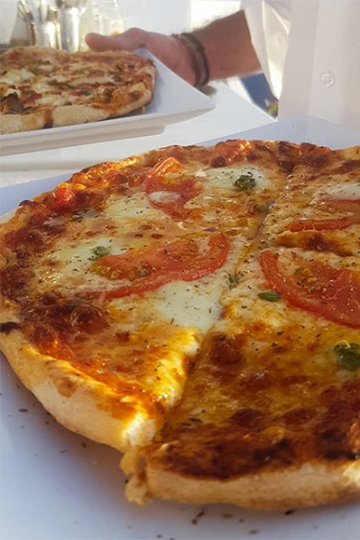 Freshly homemade pizzas and mouthwatering dishes, our menu is short and simple.. Enjoy some bits and bites or a full homemade Greek dinner. 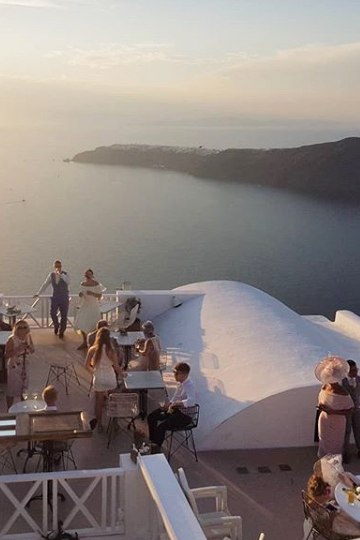 A completely different, breathtaking sunset every single day gives one more reason to visit us again.. Open all summer and when the weather allows it in the winter. 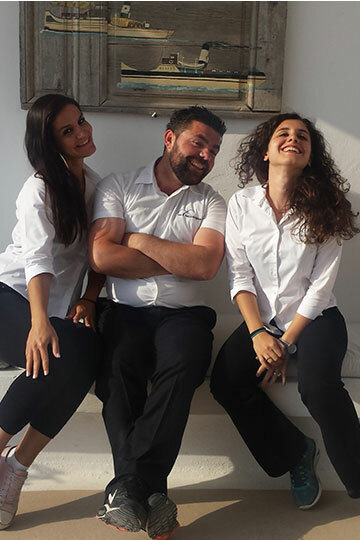 Our attentive staff is here to make you feel like home while enjoying the most scenic spot of Santorini.. We love to talk about wines, cocktails and things to do on the island! We are keeping the charm and elegance of the summer to articulate it around a cosy and warm inside setting throughout the year. Our dishes follow recipes the founders of The Wine Bar brought from home, from the grandmother and the aunt, the best friend and the inspiration of the moment. Sharing is the key here. We have tried to cover a wide variety of food habits in the shortest menu possible, with dishes for nibbling and dining. 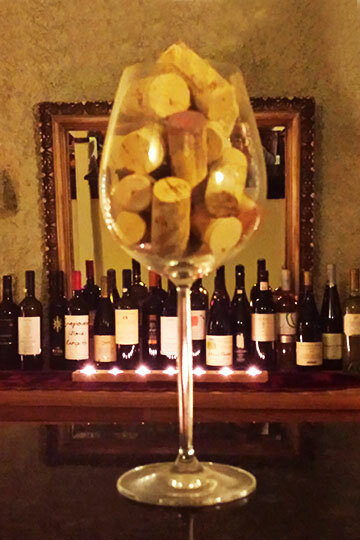 With our menu, we hope to complete a delightful experience at The Wine Bar. Our Food menu comprises of appetizers and main course dinner options. A small collection of dishes enough to fill an A4 but also to satisfy any preference. Our menus are updated regularly to meet the seasonal needs. You may find some of our food menu dishes here. Don’t be afraid to ask if you wish to have something that is not on the menu!